A Chicago based lawfirm concentrating Family Law and Divorce Mediation. We offer a wide range of services tailored to our clients' unique legal needs. 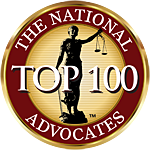 Masters Law Group LLC has a unique depth of knowledge, experience and talent in the Family Law and Divorce field. Our firm handles matters in Cook County and the adjacent counties including DuPage, Will and Lake.